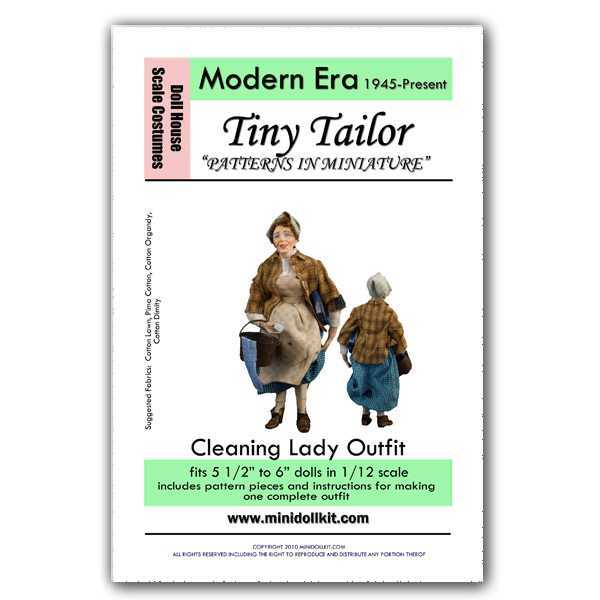 This modern day miniature maid outfit makes a simply charming cleaning lady. Pattern peices include skirt with lining, ladies shirt bodice with peter pan collar and cuff, oversized mens work shirt, apron with bib and head scarf. 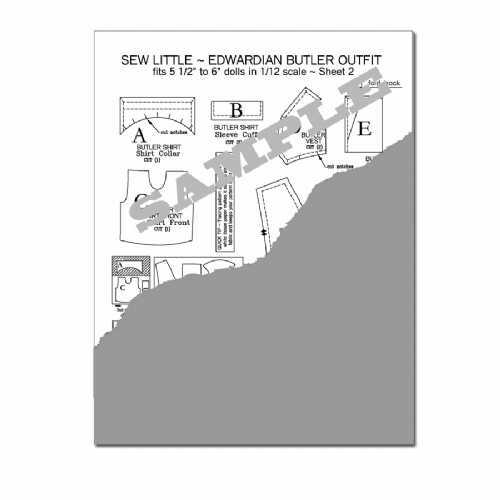 You even get a pattern piece for undies.